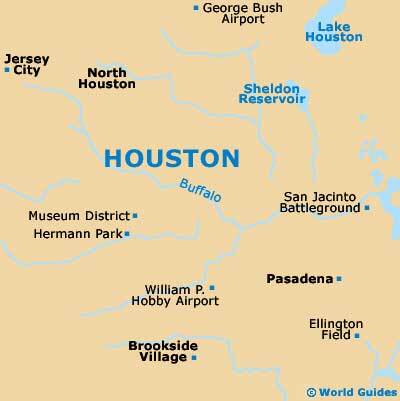 The metropolitan area of Houston is home to more than 1,750 churches, chapels and other religious buildings, meaning that wherever you are staying, you are likely to be within easy reach of a place of worship, with many churches welcoming different religions. Christ Church Cathedral serves as the center for the Episcopal Diocese of Texas and lies on the eastern side of downtown Houston, in the direction of Minute Maid Park. Although the building itself dates back to the 1890s, the congregation has its origins in the late 1830s, when an earlier version of the cathedral stood here, making this the oldest surviving congregation in the city. The stunning Christ Church Cathedral dates back to the latter part the 19th century and is one of the most historic non-Roman Catholic churches to be found in the whole of Texas. Specific attractions include Gothic-style architecture, a large interior with stained-glass windows, a chapel area, many original period features, a friendly café and regular services. St. Basil's Chapel, located in the Montrose area of the city, features an impressive golden dome and eye-catching architecture. This modern chapel is close to the University of St. Thomas and was completed at the end of the 20th century. Located in downtown Houston, the First Presbyterian Church is full of history and was originally destroyed by fire, being rebuilt in the 1930s. Today, the First Presbyterian remains an important church, regularly holding parish services and Sunday masses. The First United Methodist Church features an impressive facade and can be found in the downtown area. Highlights include colorful stained-glass windows, an impressive pipe organ, a large chandelier and regular Sunday services. Located in the Medical Center area, Palmer Church was built in the 1920s and has been further extended over the years, creating additional chapels. With a host of features and great attention to detail, Palmer Church has found its way onto the National Register of Historic Places. Services are held here each Sunday and also during the week. The Rothko Chapel is an attractive octagonal building, with a particularly interesting interior. Located in the Montrose area and founded in 1971, this non-denominational chapel is known for its collection of enormous paintings, which were created by renowned Russian-born abstract artist Marcus Rothkowitz (1903 to 1970). Featuring Gothic-style architecture and a number of stone carvings, St. Paul's United Methodist Church is located on the southern side of the city center, north of Hermann Park, where it stands close to both the Museum of Fine Arts and the Metropolitan Dance Center.